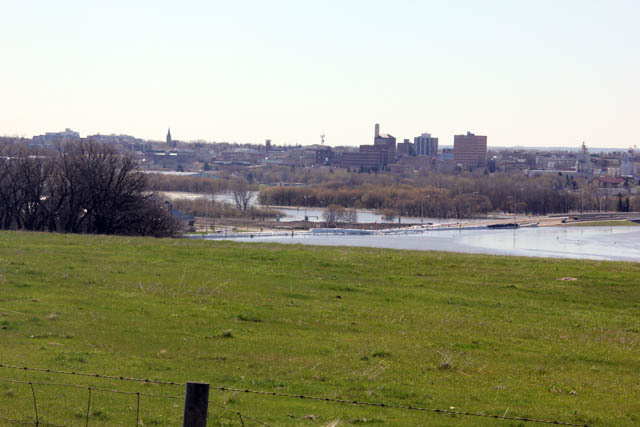 See the first Twin Lakes Beach Flood Before and After photos. See more pictures on Twin Lakes Beach Association’s Facebook page. 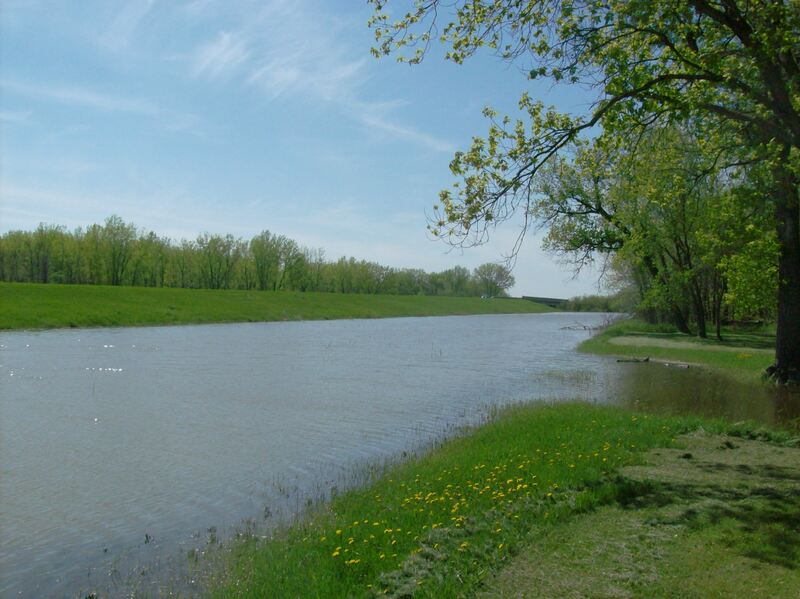 While we rest safe and easy here in Winnipeg – the Red River Floodway now unnecessary and closed – over 2400 Manitobans are still evacuated from their homes by inundations from Lake Manitoba, Dauphin Lake, Lake St. Martin, Assiniboine River and Souris River, to name a few. Now the Saskatchewan River is threatening The Pas in northern Manitoba. The photos of the damage are heartbreaking. 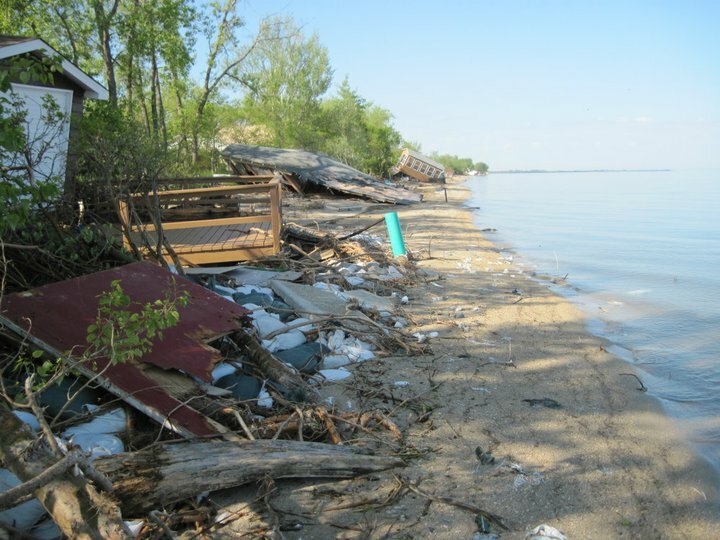 This picture of Delta Beach on the southern tip of Lake Manitoba has become a sad but typical scene along the shoreline. 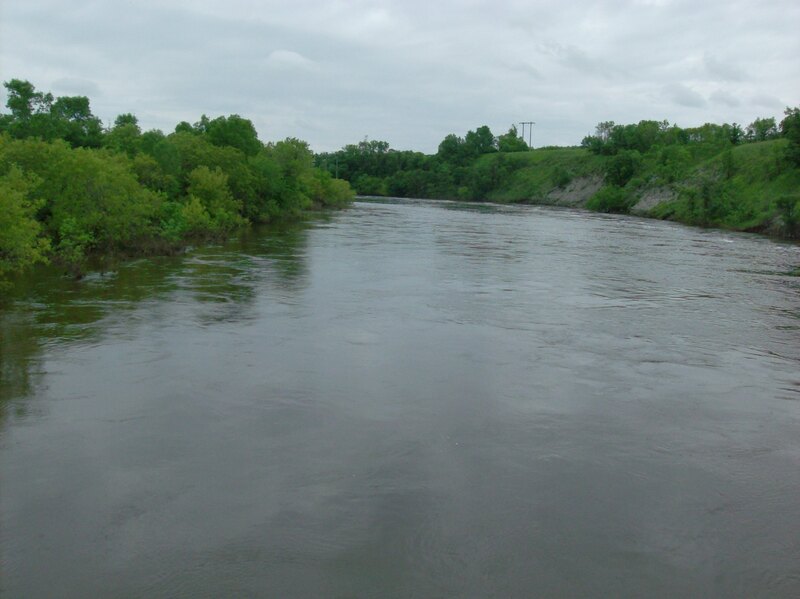 After last week’s torrential rains, many rivers and lakes will be cresting again over the next month, forcing emergency crews to remain vigilant. Best Idea the Province Has Had in Ages! Some good thinking, finally! The Manitoba government has a wind set-up alert system for Lake Winnipeg’s south basin, Lake Manitoba, Lake Winnipegosis and Dauphin Lake. There are three levels of alerts: moderate, high and severe. If wind set-up is forecast to be light, no alert will be issued. 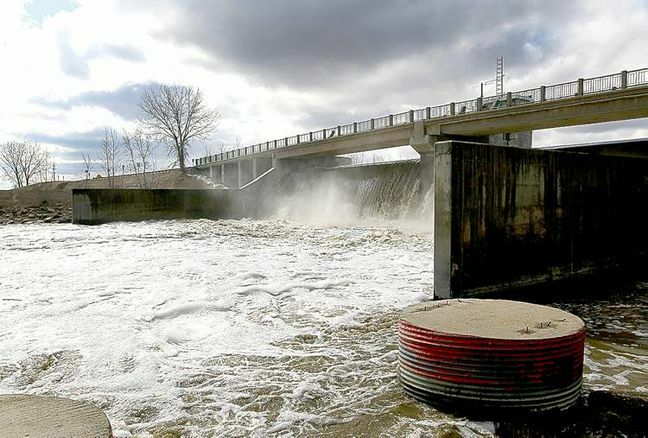 Alerts will be provided daily when winds are a concern and posted online at: http://www.manitoba.ca/waterstewardship/floodinfo/lakes_information.html#wind_alert The The website is clear, the alert colours evident and, as long it’s kept up to date with correct information (that’s the trick), can be an effective early warning system for lakeshore residents. 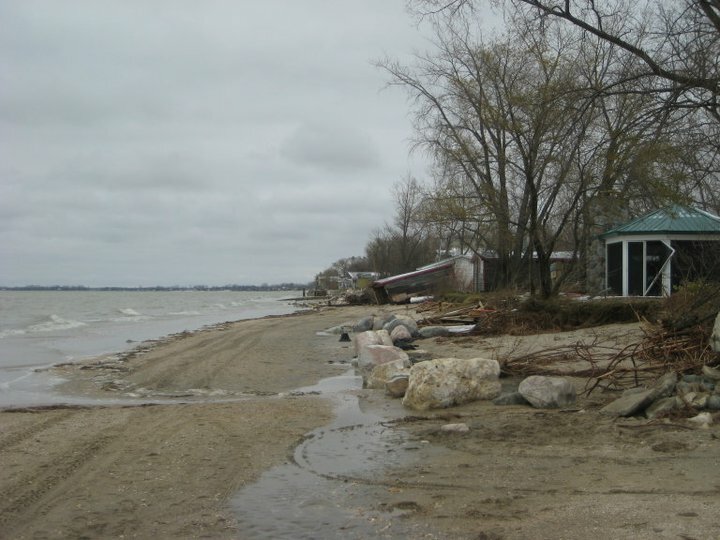 Now that the waters of Lake Manitoba have begun to slowly recede, damage to the 715 evacuated properties in St. Laurent R.M. can be assessed. A team of structural experts began checking properties in St. Laurent today, hopefully giving flood-evacuated residents some idea of when they can return home. 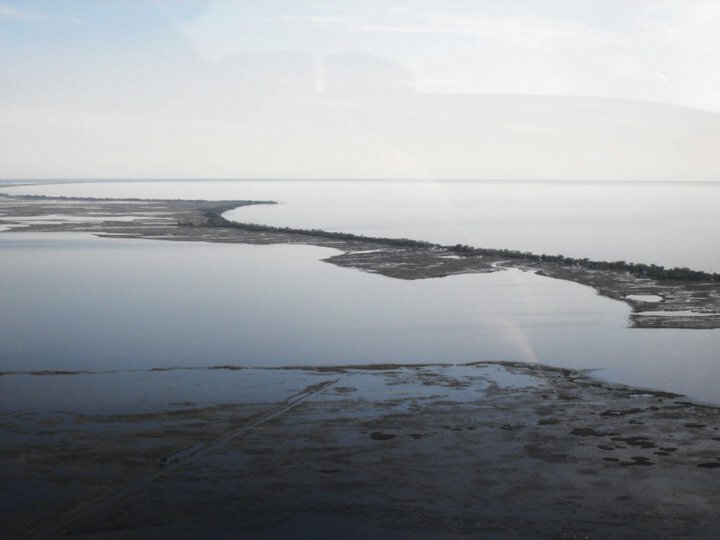 The evacuation zone runs along the Lake Manitoba shore and nearly one kilometre inland. The re-entry safety inspection team has to give the all-clear signal before owners will be allowed back in. 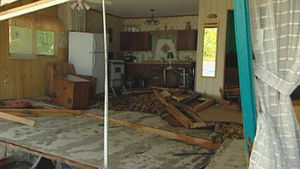 Some residents along Lake Dauphin are still unable to go home. The mandatory evacuation notice for occupants of homes and cottages along Beach Road and Valhop Drive remains in place. The R.M. of Ochre River’s order has been in place since Saturday afternoon. For accommodations, permanent residents in the evacuation zone are being advised to register with the Province’s emergency social services at Dauphin City Hall. Forty-five residences in Ochre Beach and Crescent Cove are under the evacuation order, eight are permanent homes. 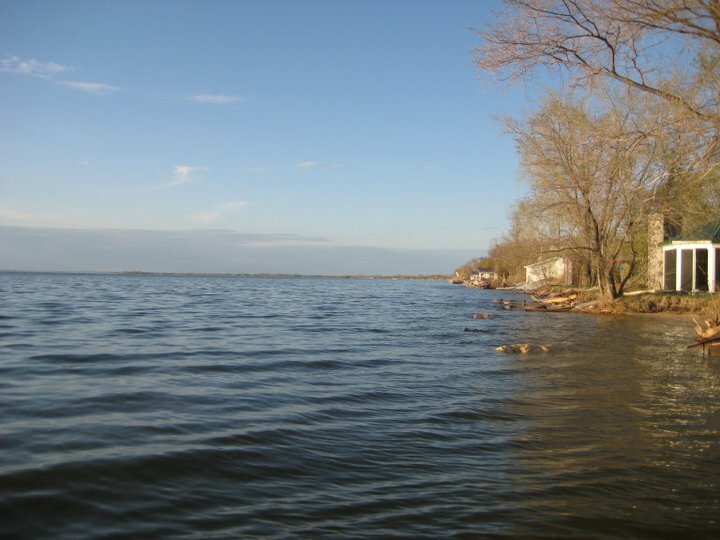 Lake Manitoba is now expected to hit 816.5 feet in July, almost a foot higher than previously forecast, Water Stewardship Minister Christine Melnick told the Manitoba Legislature today. Have you figured out why yet, Christine? The scale, scope and ongoing nature of this year’s flood is very challenging for affected Manitoba families. There are resources to help deal with stress and anxiety in a crisis situation such as this flood. Resources include Manitoba Farm and Rural Support Services 1-866-367-3276 (1-866-FOR-FARM) toll-free; Klinic Community Health Centre 24-hour Crisis Line 786-8686 in Winnipeg or 1-888-322-3019 toll-free; and Health Links–Info Santé which can also help find resources through local regional health authorities or the community mental-health services office 788-8200 in Winnipeg or 1-888-315-9257 toll-free. Additional information and tips are available at www.gov.mb.ca/flooding/stressinfo.html. 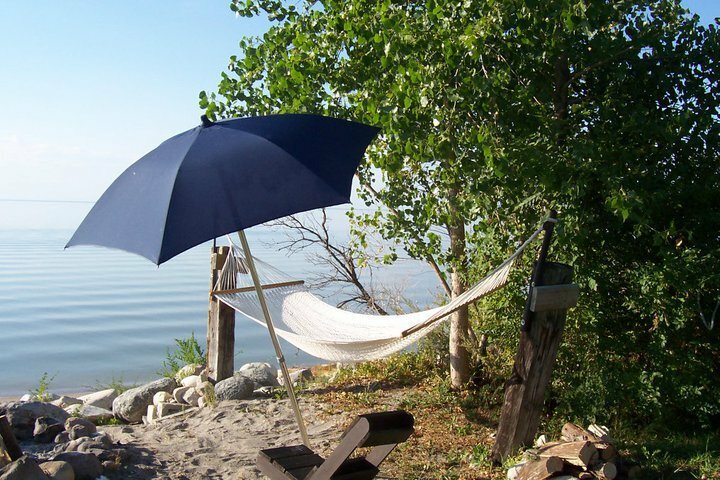 Twin Lakes Beach is on a narrow slice of land between Lake Manitoba and Lake Francis on Lake Manitoba’s eastern shore. The first aerial picture was taken in the 1980s. 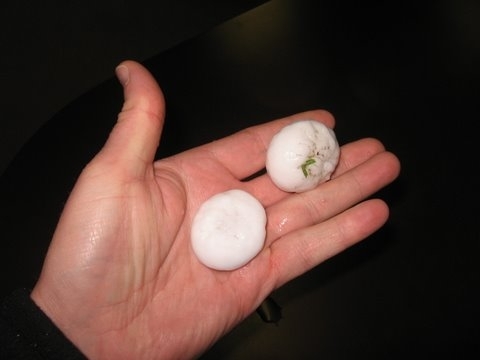 The second picture was taken June 2, 2011. There are more pictures of the destruction at Twin Lakes Beach Association Facebook page. I can’t imagine what it must feel like to watch your property, which you worked to sandbag and protect, so easily flooded and the dikes surmounted. Watch this short video of flood waters blown onshore yesterday at a home property on Lake Manitoba between Twin Lakes Beach and St. Laurent. You can see the wind change direction about halfway through, throwing the lake onto the land. 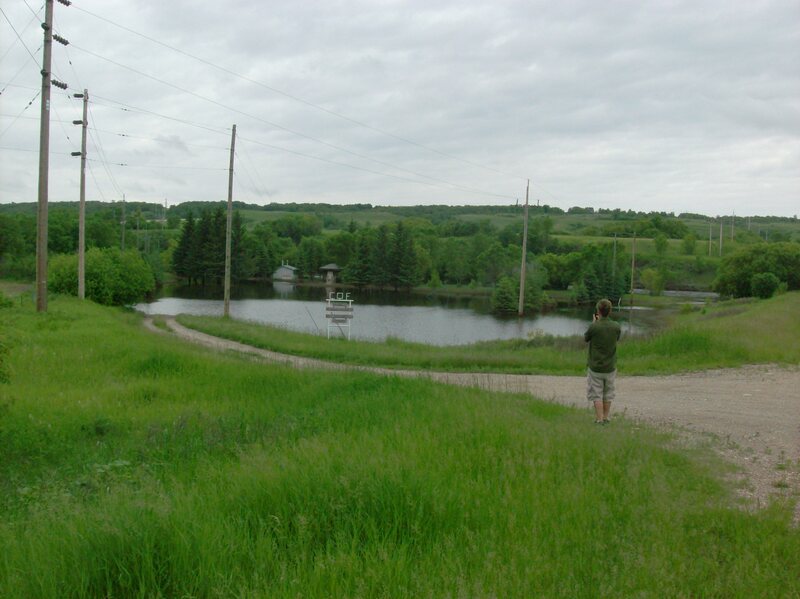 CKDM Radio in Dauphin is reporting extensive new flooding in many northern regions. It`s not just cottage country being inundated. 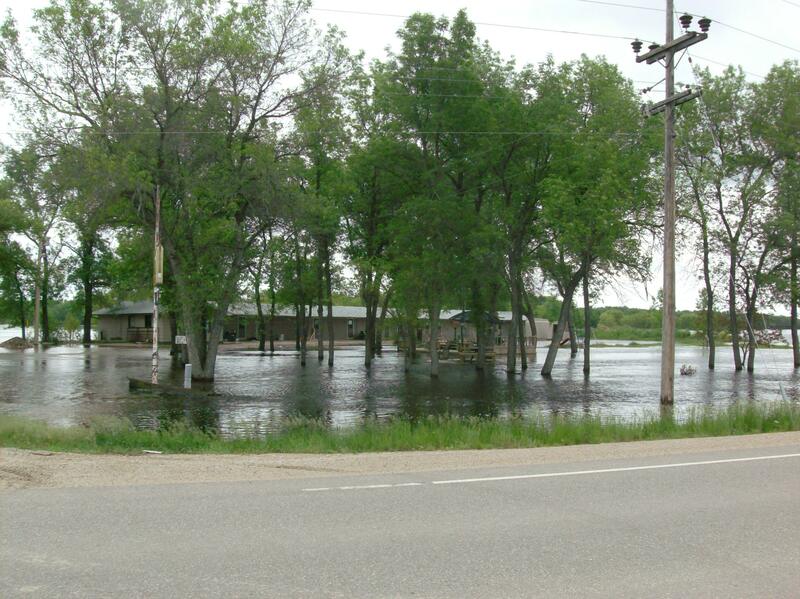 The RM of Ochre River has announced a Mandatory evacuation notice for residents of Beach Road and Crescent Cove. 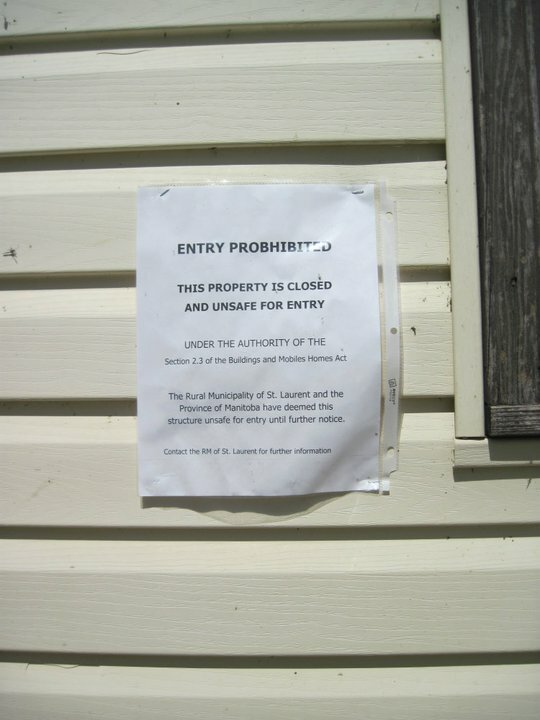 Residents of other areas in Ochre Beach affected by flooding will be allowed local access to secured areas. These additional areas are on stand-by for evacuation. The RM says if the high winds continue, additional evacuations will be announced later in the week. Over 50,000 sandbags are on route to the area from the Provincial Government. As well, a sandbagging machine and a team of flood specialists should be on the scene by Friday. No volunteers are being asked for at this time since strong waves are preventing the shoring up of dikes. 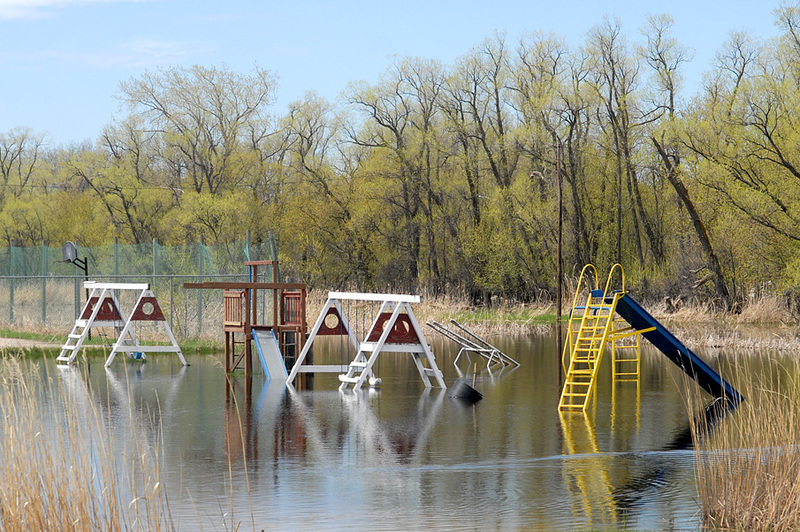 The Village of Winnipegosis is in full flood prevention mode as the town battles leftover flooding from Tuesday. Resident Melody Penner says there was lots of hard work happening yesterday. At last update the Village was experiencing breaches along sections of a dike which was completed north of Lily Street. The Village is asking people to please keep away from the beach area and trailer court as work continues, and they are warning that unauthorized vehicles and traffic may be charged. For more information, call the Winnipegosis information line at 656-4876. All the heavy rain in the short period of time yesterday has prompted the Village of McCreary to go into a local state of emergency. However this does not mean people are being told to evacuate. The emergency has caused the towns sewer system to overload and several basements have flooded due to the sewer backing up. The village is asking for volunteers to sandbag, if you can please go to the Village of McCreary shop at First and East behind the hospital. For further information call 204-835-2341. 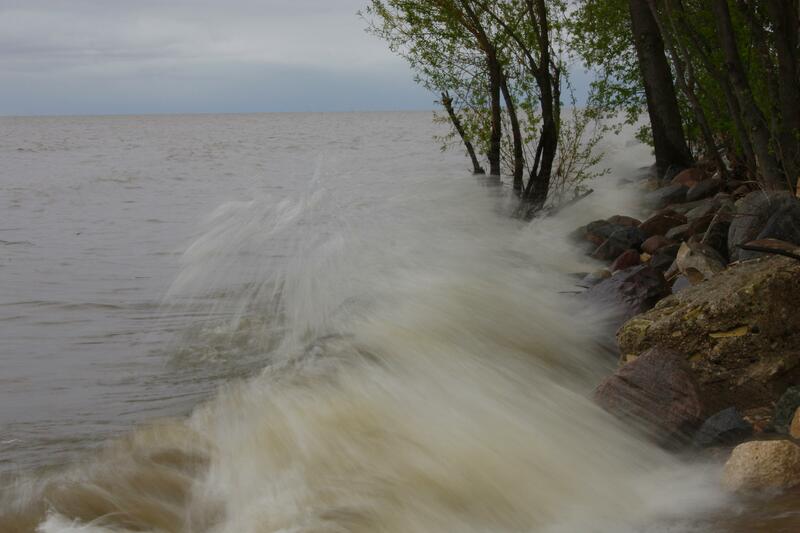 The RM of Siglunes has extended the State of Emergency from June 2 to June 16th due to high lake levels, overland flooding and increased rainfall.Local emergency measures personnel are monitoring properties along Lake Manitoba and problem areas. 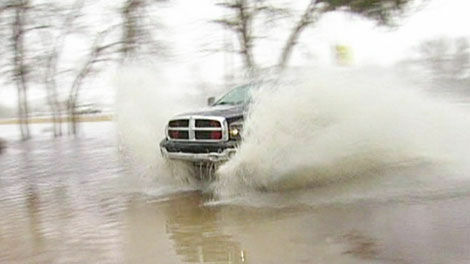 Residents are encouraged to use caution when travelling on flooded roads. Flooded sections should be marked with stakes to identify at risk areas. Property owners are encouraged to check dikes and contact EMC personnel or the RM Office 768-2641 if they need further assistance or sandbags. The media seems to be parked at Delta Beach. Meanwhile, most of St. Laurent and Oak Point were evacuated last night. The lake has moved inland almost a kilometer in some spots after last nights storm, with whitecaps rolling where fields and lawns once were. It is not just hurting cottage country anymore. These are people being displaced from their family homes, quite far from the waterfront. 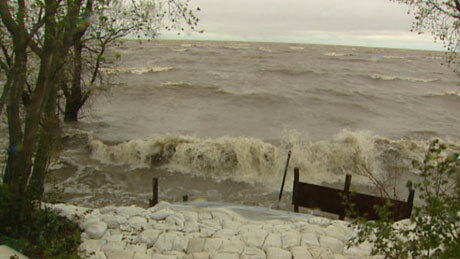 The flood situation in southern Manitoba is beginning to stabilize with water levels dropping. 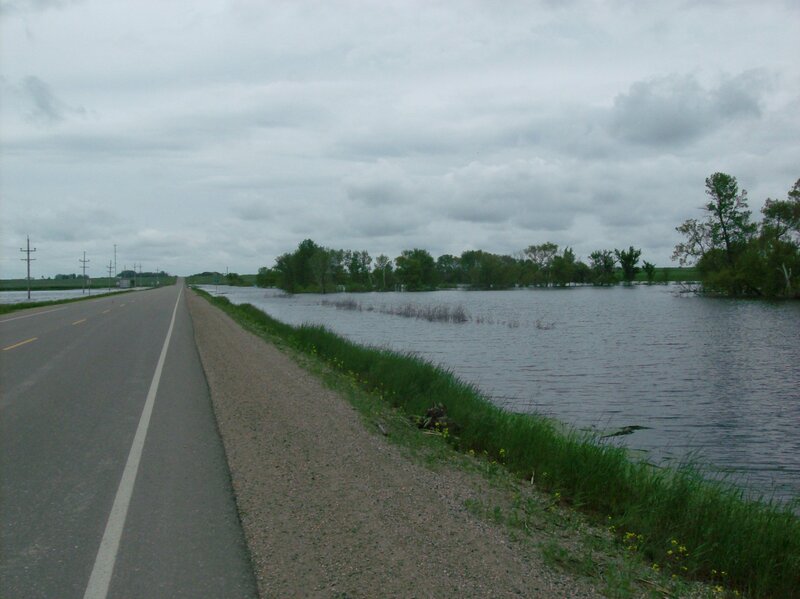 I took a drive out the re-opened Hwy #75 south of Winnipeg this week and found many fields, especially around Morris and south, still covered with standing water from recent Red River flooding. Conservative estimates say 50,000 acres of Manitoba cropland will not be seeded this year due to flooding. “High five, Team Brandon!” That’s how Brandon mayor Shari Decter Hirst summed up local response to the flood crisis. 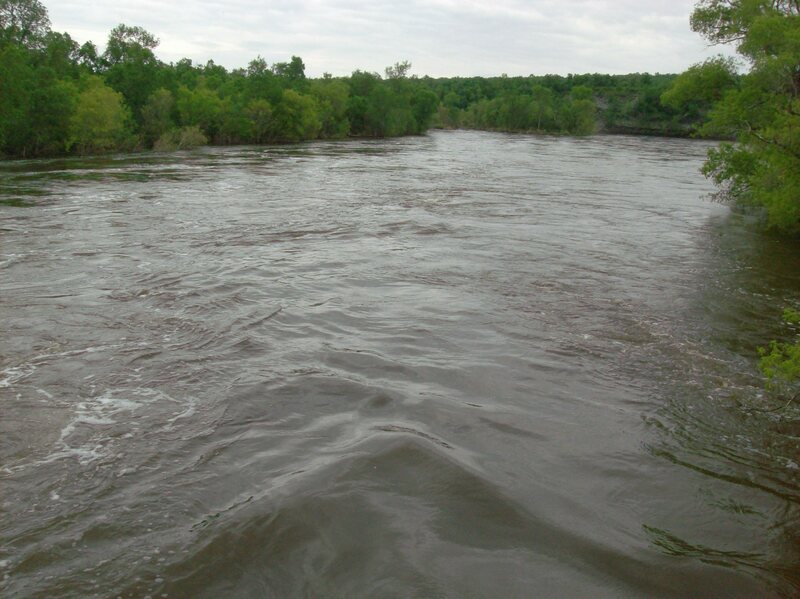 The Assiniboine River is subsiding slowly by about 4 inches a day. That’s not expected to change very much for the next two weeks. Good news for the 1400 people still evacuated from their homes on The Flats in Brandon, they will be able to return home this weekend working to a schedule the city has drawn up. Confident that the worst is over, the mayor announced a Victory Party for Brandonites will be held July 1st at the Keystone Centre to celebrate the sense of community and accomplishment that follows the flood. A parade and fireworks will bracket the day’s festivities. Major flooding is still threatening farms, cottages and permanent residences around Lake Manitoba and an urgent call for volunteers went out this week. 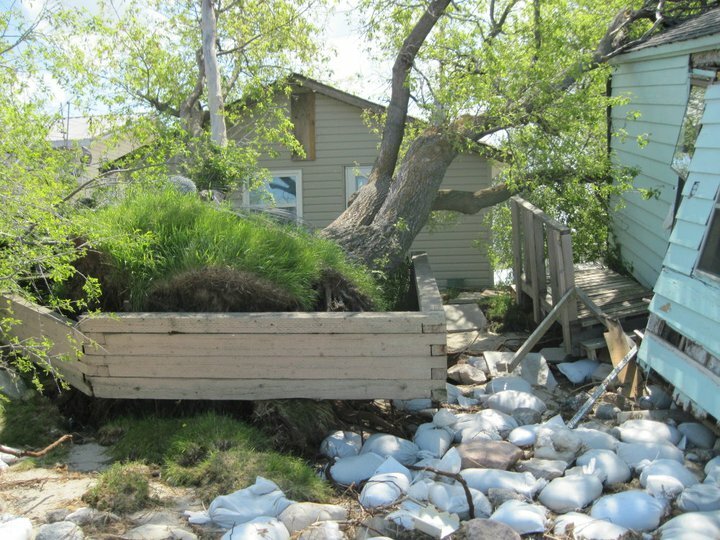 High schools and the general public responded and sandbagged many properties in the Twin Beaches and Lundar Beach area. The call for volunteers was urgent because Operation Lustre, the code name for the military’s Manitoba flood fighting efforts, is over and the troops, all 1800, have left the province, formally and prematurely thanked in the legislature. 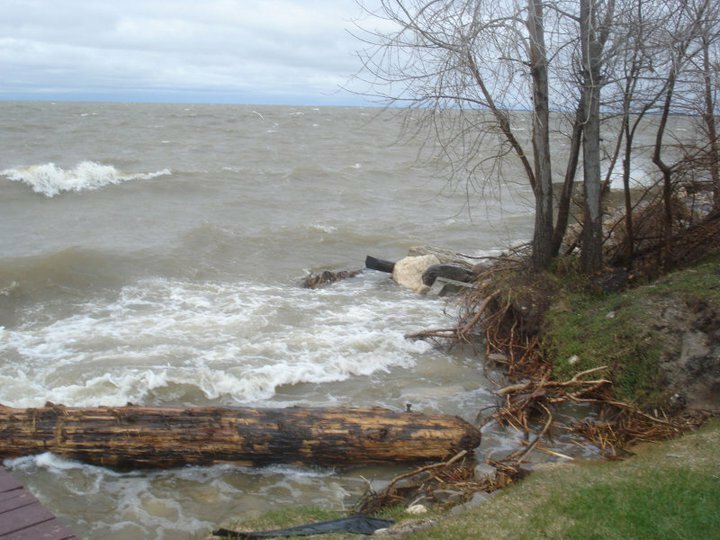 Between the high lake level, the likelihood of the prevailing northwest winds whipping the waves onto the shore and lack of government back-up to protect properties there is still plenty of anxiety around the lakeshore. I drove out to Portage la Prairie yesterday to check out the amount of water in the Portage Diversion. Though it has declined a few feet from last Friday, the Diversion is still carrying an enormous amount of water into Lake Manitoba. Rain and showers are predicted for Manitoba and eastern Saskatchewan for the weekend. As the water moves northward, Lake St. Martin is flooding out a First Nations and threatening the area. 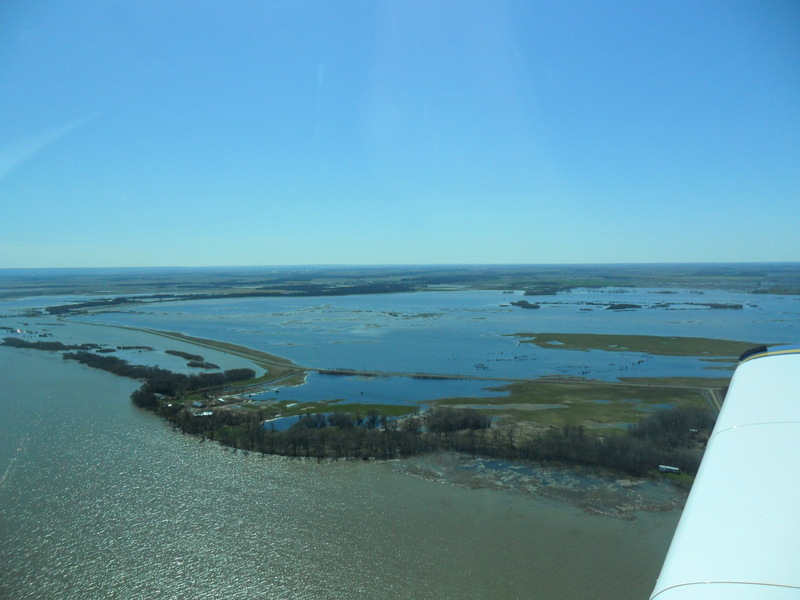 The three Shoal Lakes in the Interlake have stabilized and are expected to slowly subside over the next month. Now that the major threat has passed in the south, the flood, though still happening, is being largely ignored by the mainstream media. 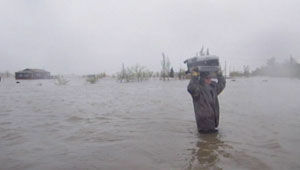 The provincial government has stuck its head back in the sand and is pretending the flood is over.